The UK paper should be seriously considered. While it breaks a number of European red-lines, it is also an attempt to solve some issues. The question is whether the EU will be ready to seriously negotiate. Geo-strategic considerations suggest that it is time for the EU to do so. This opinion piece is published in Nikkei Veritas and Caixin. Brexit has again been a major news topic over the past week. After the British cabinet agreed to a Brexit plan at its Chequer’s meeting, two of the loudest Brexit proponents – the secretary in charge of the Brexit negotiations, David Davies, and the foreign secretary, Boris Johnson – stepped down. Both gave as a primary reason that the Chequer’s agreement would not give back full sovereignty over law making to the UK. Boris Johnson also gave an example as to why this mattered through a story of female cyclists and juggernauts – although he apparently got the story’s facts wrong as it was the UK government that had wanted to prevent a regulation that he, as major of London, had been in favour of. The regulation increasing the safety of cyclists eventually passed thanks to the European Parliament. Leaving this peculiar “mistake” aside, the former foreign secretary actually has a point: the deal that the UK proposes in its white paper would de facto leave the UK as a rules-taker in goods. Its sovereignty in setting regulation for goods would be gone. The UK prime minster, Theresa May, nevertheless proposed this deal. Why? The reasoning is simple. The EU’s preferred option — a standard, off-the-shelf trade deal for Great Britain with Northern Ireland in the customs union and parts of the single market — would break up the UK. Indeed, it would mean that the UK would have to do customs controls in the Irish Sea. Northern Ireland would economically have ended up being part of the European Union and Westminister would have lost power over this part of the Island. So none of the options on the table would have been acceptable and attractive to the UK. The now proposed solution, however, is not a done deal yet. On the contrary, the proposed Brexit plan would foresee full regulatory alignment of UK legislation with the EU legislation in goods. In practice, the UK would thus become a rules-taker. It would also commit to accept jurisprudence of the European Court of Justice in UK courts and would propose a new court for cases relevant to both sides. The European Court with only EU judges could not be the court of arbitration without any UK judge present. The UK also proposes a political dialogue for UK ministers with EU ministers. However, the UK would not participate in the free movement of labour nor would it participate in the services sector movement. After all, the sector makes up more than 70% of the UK economy and is also the sector in which the UK has a strong competitive edge in its exports. Whether such a deal would command a majority in the British House of Commons is unclear. In fact, there may be many MPs that, like Boris Johnson and David Davis, think that this option degrades the UK too much to a rules-taker. But there is also the EU side. While the prime minister tries to strike a new and fair balance of rights and obligations, the proposal would still break a number of the EU’s red lines. In particular, the EU is sceptical that it should grant full market access to goods without complete access and compliance in services and total labour mobility. Moreover, the EU has doubts on the customs side of the arrangement. 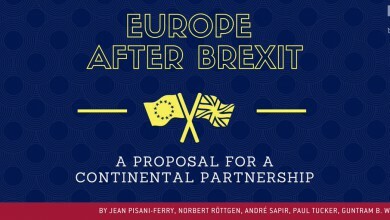 The EU also has serious concerns on enforceability, arbitration and dispute settlement frameworks and implications for third countries such as the EEA. That the EU will also start crossing some of its red lines is not very likely. In any case, it is now clear that the services market, including financial services, will be seriously fragmented after Brexit. For goods, there is still some hope for a deal, but it may be less than what the UK proposes. The prospects of no-deal whatsoever and a period of several years with severe limits on trade remains high as the House of Commons is highly divided and the EU is unlikely to move its red lines. US President Trump’s interview with the newspaper Sun is increasing the stakes. The question is whether the EU’s answer will go beyond a technical reply on the details of the white paper. Conceding, a lot in the paper is inacceptable and needs to change, but it looks like a good moment for the EU to strike a geopolitically motivated bargain with the UK, or risk losing the UK as a strategic partner. Whether Europe will be confident enough to strike a deal remains to be seen.